On February 25, the Samsung Galaxy S9 and Galaxy S9+ were officially launched at the Unpacked 2018 event, and the phones will go on sale globally on March 16. If you don’t know, the pre-orders in India have already started, and today, 91Mobiles got details of the Indian Pricing for both the phones. An official document revealed all these details, obtained by the folks at 91Mobiles. As expected, the phones are priced higher than the prices of last year’s S8 and S8+. The Galaxy S8 was launched in India last year with a starting price of Rs. 57,900 whereas the Galaxy S9 is launching in India with an MOP of Rs. 56,900. The S8+ launched last year with a starting price of Rs. 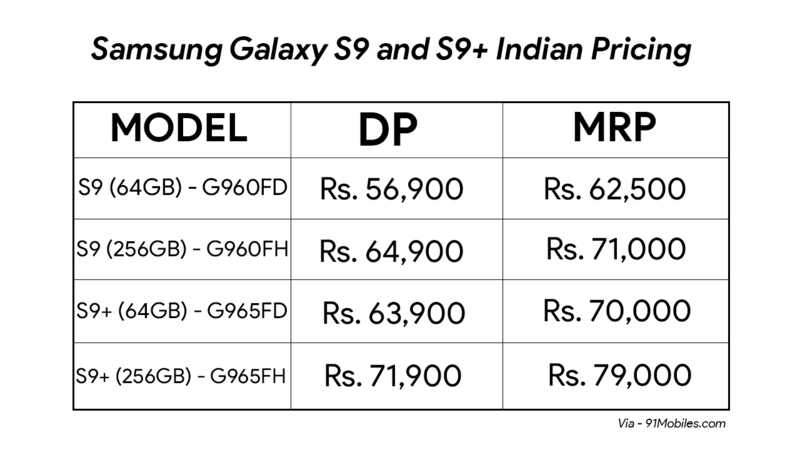 64,900 whereas this time, the Galaxy S9+ is coming to India with a starting price of Rs. 63,900. Both the phones will arrive with their 64GB and 256GB variants, and it looks like Samsung has no plans of launching the 128GB variant for the Indian market. 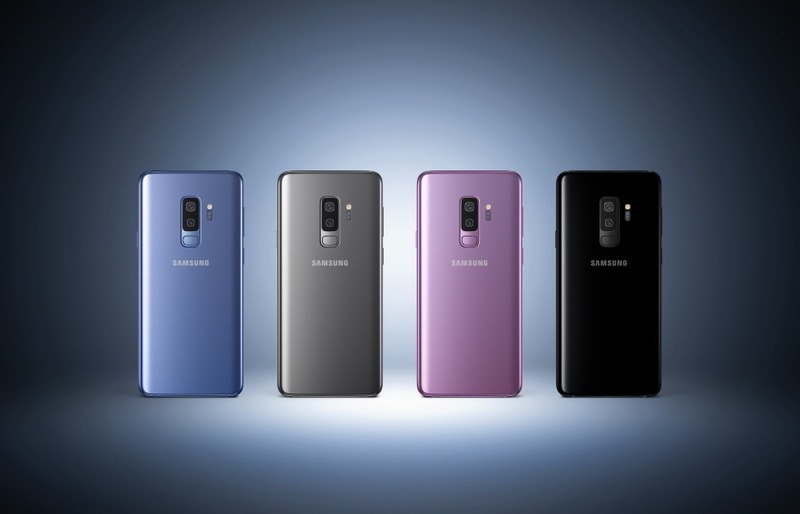 The price will go up to Rs 71K for the Samsung Galaxy S9 (256GB) and Rs. 79,000 for the Samsung Galaxy S9+ (256GB). Just giving a quick reminder of the specifications, the Galaxy S9 has a 5.8-inch Curved display with Super AMOLED Quad-HD+ resolution. It is powered by a Snapdragon 845 or Exynos 9810 chipset and has 4GB RAM along with 64/128/256GB ROM. On the rear, there is a 12MP camera with f/1.5 and f/2.4 variant aperture. There is a 3,000mAj battery with Fast Charging and Wireless Charging. The Galaxy S9+ is not much different except for a bigger display, bigger battery, dual rear cameras and more RAM. The display is 6.2-inch with the same specs as S9, and there is a 3,500mAh battery under the hood. On the rear, the phone has a 12MP primary camera same as the S9 whereas there is also a 12MP secondary lens with f/2.4 Aperture.The RAM is bumped up from 4GB on the S9 to 6GB on the Galaxy S9+. It looks like this time also, only the Exynos 9810 powered variants will be launched in India and not the Snapdragon 845 ones. What are your views on this leaked Indian pricing? Do let us know via the comments section.